*PBIS is a proactive approach that provides structure and a positive school climate for all grade levels!! The staff here at BRAMS encourages positive behavior with the use of R.I.S.E. Expectations, which stands for Respect, Integrity, Safety, Excellence. Students are rewarded with R.I.S.E. Tickets when they demonstrate any aspects of R.I.S.E. expectations. 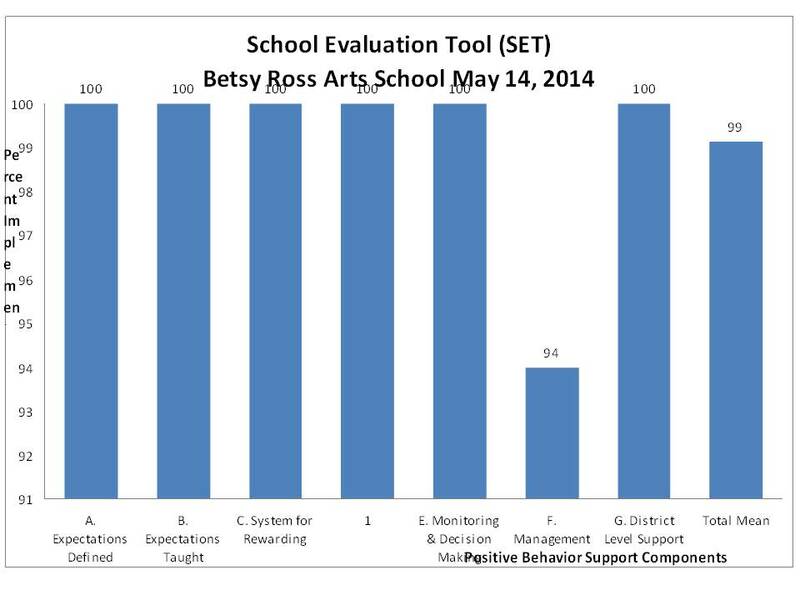 The School-Wide Evaluation Tool (SET) is an evaluation tool that determines the extent to which a school is implementing school-wide positive behavior interventions and supports. Betsy Ross is in its seventh year of implementation. The SET covers seven major areas of SWPBIS system. 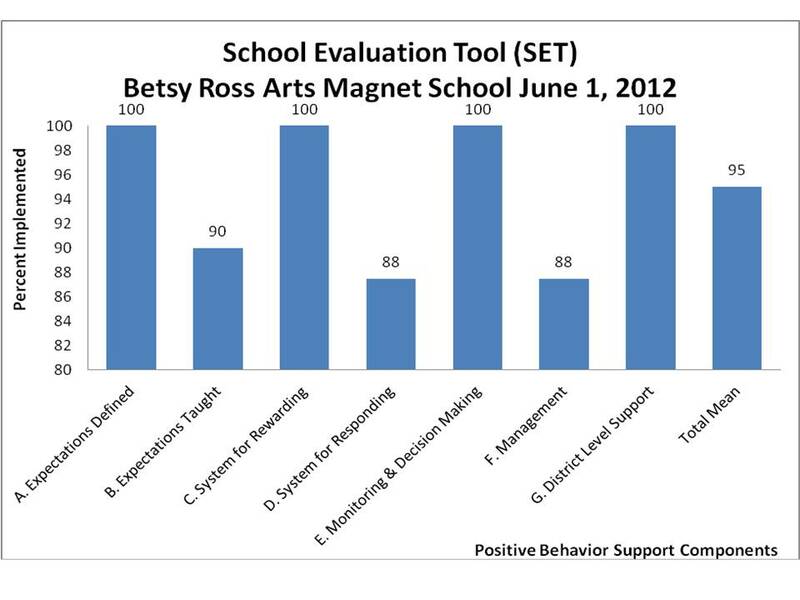 A score of at least eighty percent (80%) on the “Teaching Expectations” component and an overall score of at least eighty percent (80%) indicate that a school is fully implementing school-wide PBIS. 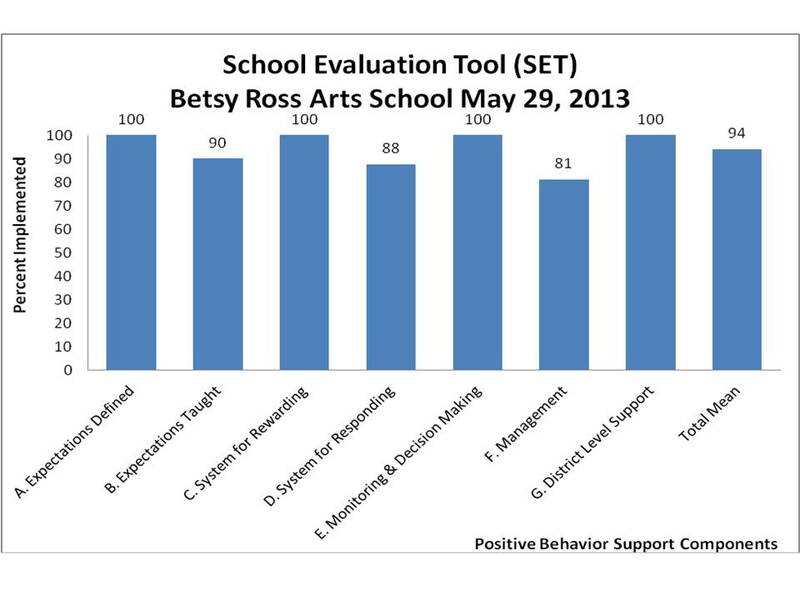 The preceding chart illustrates the results for the SET survey conducted at Betsy Ross School. The school’s SET results reflect a score of ninety percent (100%) in teaching of expectations and an overall score of ninety-nine percent (99%).